In the U.S. News & World Report annual college survey, UC Irvine is ranked among the top 50 universities nationally and ranks tenth among all public universities - quite an impressive feat for our young campus. Established in 1962, UCI Division of Continuing Education has been offering education for adult learners in Orange County for over half a century. Today we maintain over 30,000 enrollments from students worldwide each year and offer hundreds of exciting courses and programs to local, regional and global constituencies. UCI Division of Continuing Education offers over 60 convenient certificates and specialized studies programs on campus and online designed for the working professional who seeks career advancement and personal enrichment. 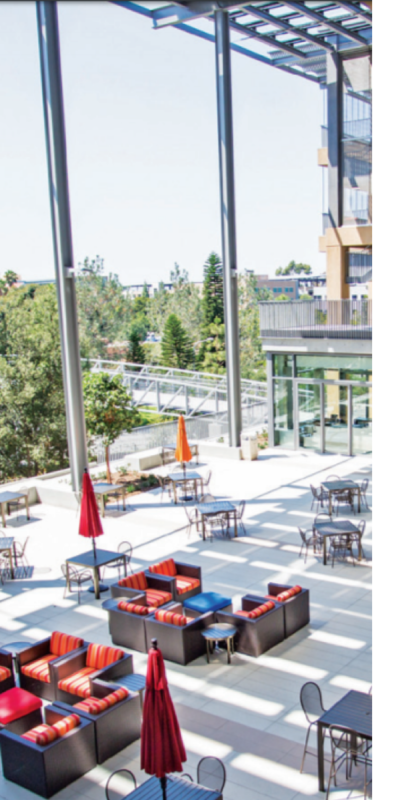 So if you are trying to start a new career, build a company, or better develop an appreciation of the world around you, UCI Division of Continuing Education has the resources needed to support your undertakings. Modeled after a traditional M.B.A. program, this certificate combines a series of courses that provide a solid foundation in basic business management. It ensures your exposure to those elements essential to success as a manager in the public or private sector. You'll leave this program with the tools necessary to competently and confidently face the demands and challenges of today's business environment. When you learn full stack web development, you acquire both the technical and creative skills to program, code, and build websites and apps. Through our program, you will learn how to construct online projects across a variety of coding languages and technology platforms. You will begin with a foundation for basic web development for learning front-end languages and then deep dive into sophisticated back-end coding frameworks. After completing this program, you will walk away with in-demand technical skills and knowledge of the latest technologies used in the industry today to build applications. Obtain the knowledge and skills required to successfully fulfill the role of human resources generalist. Through course work that reflects the most current activities and functions in human resources, this certificate program gives you a comprehensive view of the generalist's role. You'll leave this program with the ability to confidently interface with those in specialty human resources areas and have a positive influence on the HR function within your organization. This program is highly regarded by local employers for its "real-world" focus, immediate applicability in the workplace, and most up-to-date information on domestic and international HR practices. Designed to develop the knowledge and skills necessary to move through the creativity and innovation process and take new ideas to the commercial marketplace, this program provides an intensive examination of the scope of demands of real-world innovation and product development, whether tangible object, system or service. Nonprofit management in the 21st century is a promising, challenging career that requires professionals skilled in organization, management and relationship-building. Individuals working in mission-focused and value-based organizations must have a thorough understanding of internal and external factors affecting fundraising as well as the ability to apply principles of marketing, communications and strategic planning to this specialized profession. Whether you aspire to own or manage a spa or you’re already a seasoned professional, improve your knowledge and career advancement opportunities with practical, real-world spa and wellness education taught by leading industry experts. Throughout this comprehensive, online program, you’ll learn all aspects of the successful day-to-day operation of a spa as well as business strategies you can employ for sustained growth and profitability in this ever-evolving industry. Corporations have been put on alert to heighten their infrastructure and data security due to threats from hackers and cyber-terrorists. Government agencies and customers have dramatically increased their requirements of corporate security procedures. Develop the skills you need to succeed in this rapidly expanding, dynamic field. Compliance with regulatory requirements, remediation and planning for sustainability greatly influences corporate operational issues and business decisions. UC Irvine Certificate Program in Environmental Management prepares professionals at every career level to meet the challenges of the expanding regulatory framework and the increasing need for sustainable and green initiatives in the rapidly changing environmental profession. Want to turn your passion for gaming into a viable career? According to a report by PwC the global video game industry is expected to grow at a CAGR of 4.8% from $71.3 billion in 2015 to $90.1 billion in 2020. Facility management is the practice of coordinating the physical work environment with the people and work of an organization. This discipline integrates the principles of business administration, architecture, and the behavioral and engineering sciences. This certificate program furthers the understanding of this diverse field with an innovative series of courses focusing on design and management of facilities, from concept to installation, to long-term efficient use. Computer size is dropping and the number of sensors is dramatically increasing; the digital world is indeed becoming more aware of and more connected to the physical world while the job market for technical professionals who can leverage these connections to drive business value is also growing exponentially. Lean thinking has been increasingly embraced in healthcare environments because of its emphasis on improving access and the patient experience by decreasing costs, reducing errors and boosting employee service and productivity. The Lean Healthcare Specialization will prepare you to influence change by identifying and removing non-value added activities — the waste in time, money, supplies and goodwill — in any healthcare organization that otherwise hide in plain view. Over 80% of those who try to transition to their first leadership role fail to make the shift successfully (source: Korn Ferry International). As a first-time leader in this program, students will develop critical skills including keeping employees engaged and performing their best, navigating challenging conversations with direct reports, as well as successfully presenting and communicating information to senior leadership. Students will also learn a great deal about themselves as they create a personal leadership style and build confidence through practicing various techniques by role-playing in a safe and engaging learning environment. New On-demand Delivery FormatLeaders are those that transcend their job title and seize opportunities for success. The Strategic Leadership Development Certificate Program is focused on leadership skills essential to being an effective executive, manager, supervisor, or team member. This program begins by exploring the principles of leadership, and how they are different from management skills, and continues by addressing the essential skills of creating a strategic vision, influencing others, leading others, and delivering results. Gain the tools, techniques, and skills to launch your career in web design. Learn the latest technologies and platforms to create interactive and responsive websites and apps. The program first lays the foundation for web design basics from typography to color theory, interaction design and wireframing and then dives deep into ‘hands on’ front end coding programs. After completing the program, you will walk away with a project that you can add to your portfolio that shows your passion for design and technical talent.